Home / Uncategorized / Do you feel my pain? 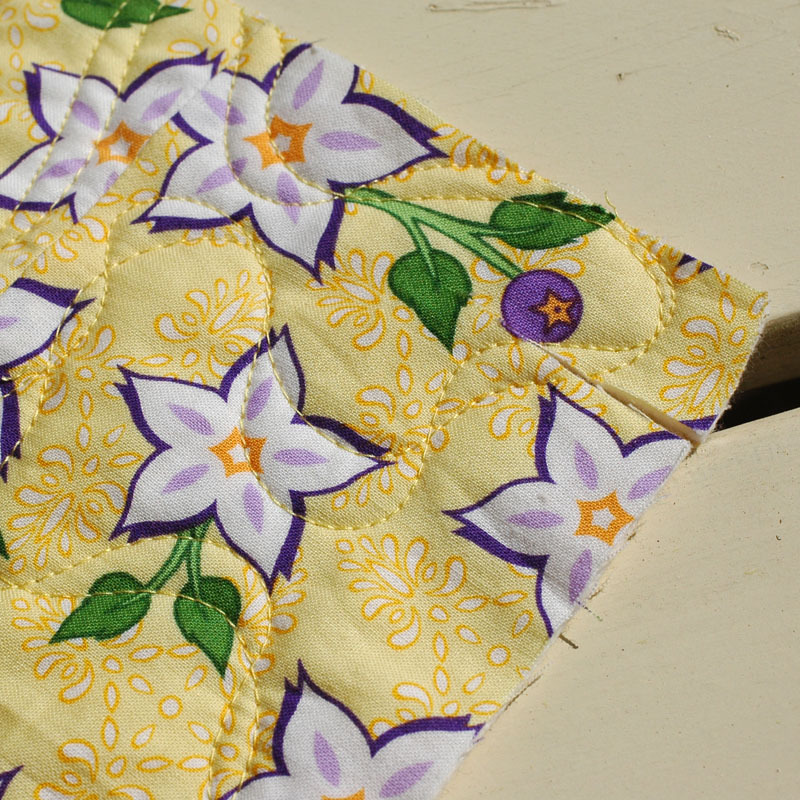 Has anyone ever, in the process of squaring up the edges of a quilt that has been expertly quilted, misaligned their ruler so that there were four inches of border on one side and only three on the other and made a cut before realizing it? OH YES I DID! My daughter heard my moans of anquish from across the room (where she was pressing blocks for another top) and came over and looked. She said, “Oh my.” I just groaned incoherantly on the floor. On another note, lots of quilters devote time to teaching young people how to sew and I think that is great. (Julie, of Jaybird Quilts, recently blogged about helping a girl scout troop with a project and Allison, of Cluck Cluck Sew, wrote about a great project involving fabric and lots of glue that she did with her young son.) 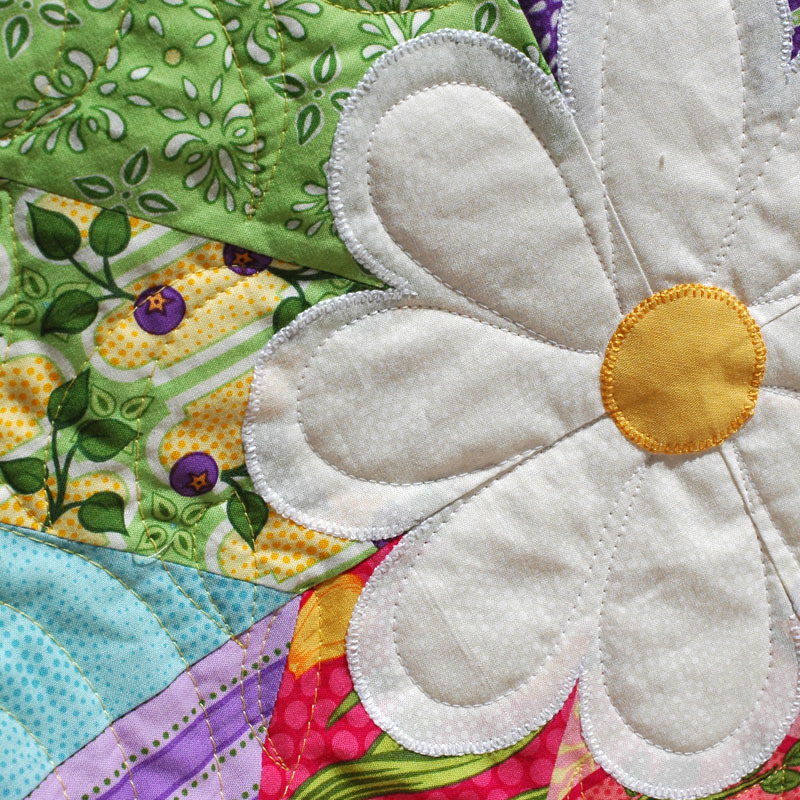 Although it does certainly take more time to produce quilts with young children “helping” (I have secretly unstitched many a seam to make blocks fit together) I can vouch for the fact that, in the end, giving new, enthusastic sewers confidence in their growing skills certainly pays off. I am currently reaping the benefits of having an expert 12 year old sewer in the house. (She is my preferred helper in everything sewing-related – and is much better at it than most adults.) When she was six or seven she helped by running zigzag stitches around blocks that I was going to applique. (My ten year old son, incidentally, is an expert in ripping stabilizer off of the backs of quilts – there is something for everyone, even the destruction-proned. Yes, he obviously gets that from me.) So if you have a son, daughter, niece or nephew in your life, find a project that they can do an help them discover the joy of working with their hands in this digital age. And if anyone out there has some fantastic ideas about projects that are suitable and enjoyable for young sewers, please share. I’d love to hear what everyone is doing! Now it is time to have my daughter help me with that zigzag stitch. Happy sewing! I'm sure no one except you (and maybe your daughter) will every know about the slip of the blade! It's looking gorgeous. 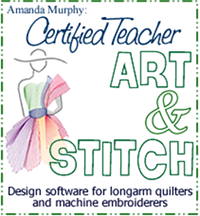 I say zig-zag it and place a label/applique rign on it on the back. Problem fixed. How about part of another daisy covering the cut and peeking out from the corner? Oh ouch. I feel for you. I was quite interested in a product that I saw was going to be at the Sewing and Quilt Expo I went to last Friday so I stopped at their booth to see it demo'd in person. It was awesome and I honestly think you might want to see this stuff. It would fix your problem and without the use of the zig zag stitching I am almost positive. Check out the pdf on this stuff paying attention to "MENDING" on the instructions. I bought this stuff after seeing the stuff used in person after watching the videos onilne. I do feel your pain! In the end you will be the only one who notices the mending! We are far too hard on ourselves. Somehow I can't help but point out flaws in things I've made, but the person I'm showing always says " I wouldn't have known if you hadn't pointed it out!" What beautiful fabrics in your quilt! Mending it is the only way – keep it real and honest and embrace it! Check twice, cut once…is the counsel I seem to hear in my head every time I take up the cut position and poised to strike and it really takes self control to pull up and take another look but it is worth it. I make plenty of mistakes and they arent easy to bear but your courage, fortitude and workmanship will see you through this heartbreak..your quilt is the essence of Spring to my eyes. Oh,no, I feel your anguish. I haven't ever done that much but I have done the same thing. Glad you were able to fix it. It is a beautiful quilt from what I see. I don't know if you've finished it yet, but what if you rounded the corners! 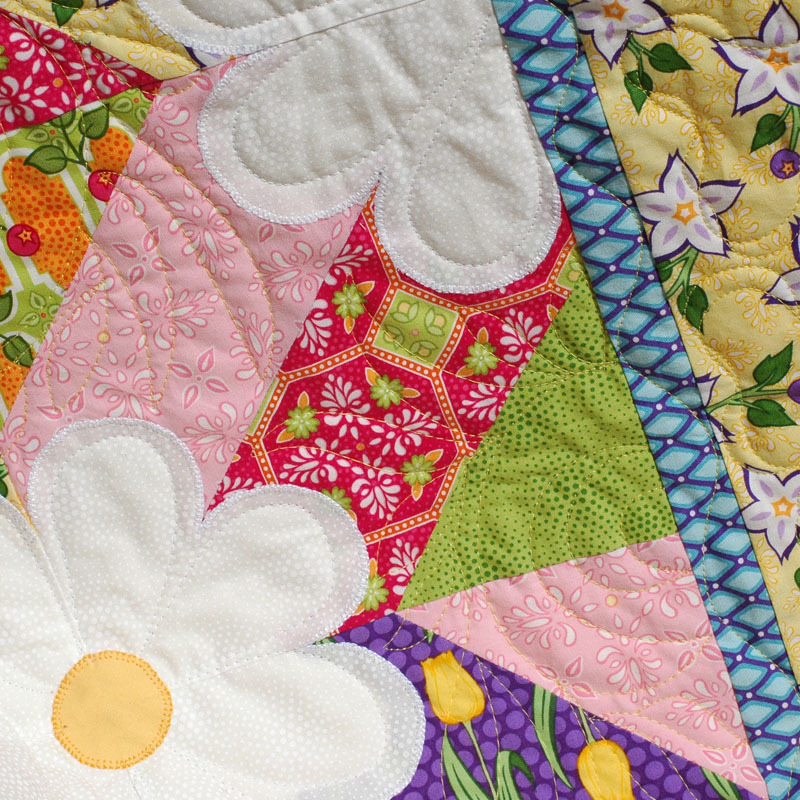 Note to self: do not square up a lovingly made quilt at 1A! I did the very same thing two nights ago. I think we make mistakes like this to keep us humble, lest we "get too big for our britches" — at least that is the way I felt when I noticed I lopped of the wings of my butterflies in the border.